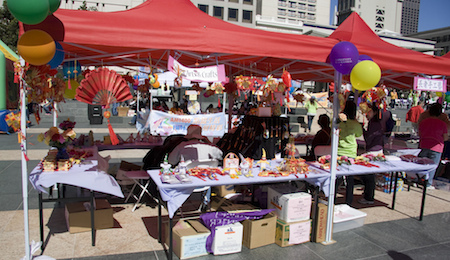 Spend your day with Self-Help for the Elderly in San Francisco supporting the Dragon Boat Festival! The festival is the largest competitive dragon boat festival in the United States. The festival hosts over 130 dragon boat teams who compete to be crowned the winner. Dragon boat teams not only come from the US, they come from all over, including Canada, Germany, and even the United Kingdom! The San Francisco International Boat Festival is sponsored by Kaiser Permanente and organized by The California Dragon Boat Association. The Dragon Boat Festival is not only a boating competition, but has tons of other fun activities to enjoy! The family festival includes cultural performances, arts & crafts, games, rides, food, vendors, and more! The “Paddling Tigers” will represent Self-Help for the Elderly’s team this year, formed by staff and supporters. Join us for a day of fun and festivities in San Francisco! Contact Self-Help for the Elderly today to learn how you can get involved!